When it comes to real estate transactions, the knowledge and experiences of a licensed professional makes all the difference. Having Joyce Ariyoshi on your team is the best decision you can make. Joyce’s ability to determine your best course of action, combined with her extensive network and experience in Hawaii’s marketplace makes her indispensable. Whether you are in the market for a condo, home or an investment property, putting Joyce’s exemplary professionalism to work for you is your best bet. "We had a personal referral who recommended Joyce. After sitting down with Joyce and reviewing her impressive portfolio, we were absolutely convinced that she would be the right fit to represent us and our interests with the sale of our home. We could not have been more pleased to have worked with Joyce. Her strong record, experience, and advice really helped my wife and I throughout the entire process. Joyce handled all aspects of the sales experience with great professionalism and expedience. We would strongly recommend Joyce to anyone interested in selling or buying a property here in Hawaii. Joyce did a tremendous job communicating with us throughout the entire process. We always felt like we were in good hands." "It is always the people relations and not the Realty that will either determine the outcome of your home buying experience. We were blessed to have picked Joyce Ariyoshi as our agent/broker to assist us in buying our home in Hawai’i. Knowledge of the job and local area is the most important attributes we look for when choosing a Real Estate Agent/Broker. Trust, mannerism, availability, and patience were key factors in sticking with Joyce until we bought our house. 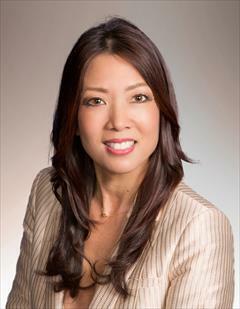 She is a joy to work with and we would recommend Joyce Ariyoshi." "Joyce Ariyoshi was there for us the whole step of the way. She kept an eye on the sale our home and knew just exactly when things needed to be done. She is such a positive person. She felt like family by the time our escrow closed. We would highly reccomend her to anyone in the position of buying or selling a home"
"Joyce was very professional and extremely trustworthy. She kept me in touch with everyone involved, and worked hard to complete the sale. I highly recommend Joyce Ariyoshi." "Joyce has been helping buy a house for about a year, last year my credit was just not where it should be, but she still stuck with me and because of that I called her this year when my credit and income was better. Joyce is totally awesome, she is very knowledgeable about homes and the markets and in-fact if not for her coaching and guidance I would not be in my home today. She knows the ins and outs of Hawaii markets, but that is not all, she also is knowledgeable of home repairs, improvements, flooring, things that sellers should do, things that I should do and she basicly carried me through the entire process from start to finish, in fact she even stepped up on short comings on the loan processing side. Joyce was committed and willing to do the extra things needed to get me and my family into our home and we are very greatful to her for what she did. I will send all of my family and in-laws and friends to her! Mahalo Nui Loa Joyce!!!" "We were blessed to have picked Joyce Ariyoshi as our agent/broker to assist us in buying our home in Hawaii. Knowledge of the job and local area is the most important attributes we look for when choosing a Real Estate Agent/Broker. Trust, mannerism, availability, and patience were key factors in sticking with Joyce until we bought our house. She is a joy to work with and we would recommend Joyce Ariyoshi." "We really enjoyed working with Joyce and trusted her and would definitely use her again."